Variety is the spice of life – and spicy pepper varities come in a range of heats you can use to heat up things in your kitchen. 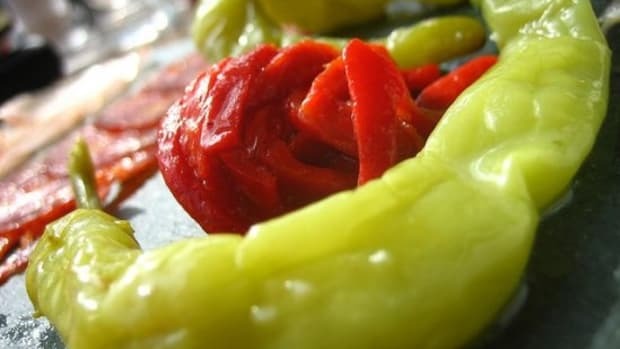 Well-placed peppers can add deep flavors to a dish, taking the place of salt, fat and other not-so-healthy taste enhancers. 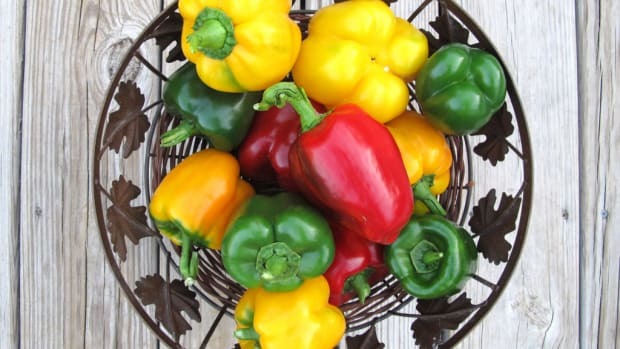 Know your peppers and you can eat healthier too. 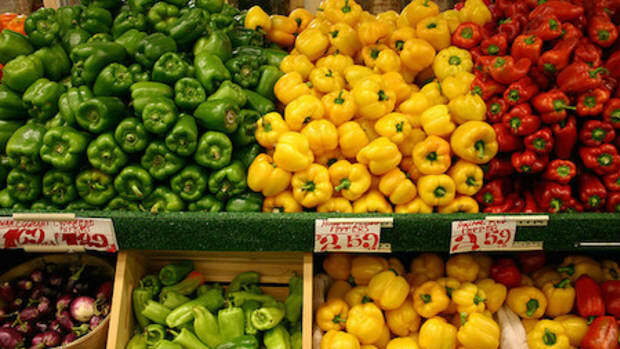 The heat that peppers bring can also speed up your metabolism, regulate your appetite and prevent headaches. Find your favorite hot pepper varieties with this handy guide, and make your next meal a sizzling experience. Peppers are listed from mild to hot. 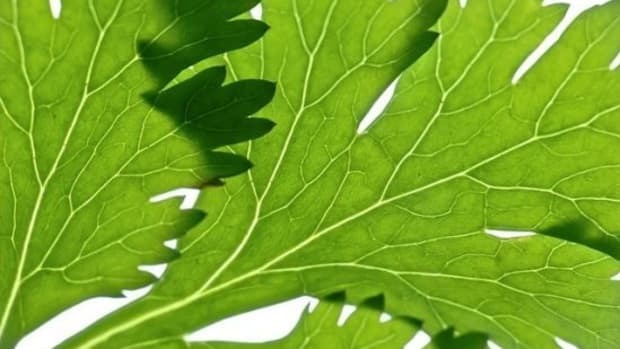 You can also regulate the heat of any pepper by removing the seeds and the pith, which are the hottest parts of the plants. When handling peppers, wear plastic gloves, cut them underwater, or just be sure to wash your hands thoroughly afterward. Peppers have pungent oils that can stick around, so try not to rub your eyes for the rest of the night. 1. Poblano – A big dark green pepper, the humble poblano often shows up stuffed with rice, beans, cheese or meat. It’s sweet and quite mild, with minimum heat – but it’s packed with fiber, potassium and vitamin C. Stuff with lean turkey meat, brown rice and seasonings before baking for a savory dinner treat. Watch out for red poblanos, which are riper and often much hotter than their green counterparts. 2. Ancho – Dry a poblano pepper, and it becomes an ancho chile. 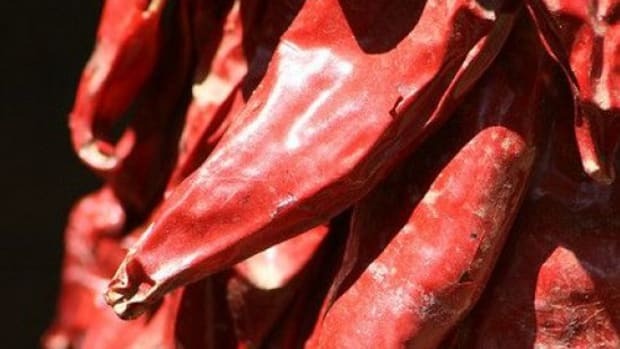 Deep red and wrinkled, this potent chile can be soaked in water and reconstituted, or ground into powder for sauces, mole and chili. Try ancho powder in mashed potatoes and other vegetable dishes for a kick. 3. Jalapeño – Perhaps the most popular pepper that you’ll come across, the bright green jalapeño shows up pickled or fresh, sliced or diced. Jalapeños can be quite hot, and are a preferred ingredient for salsas and pico de gallo. 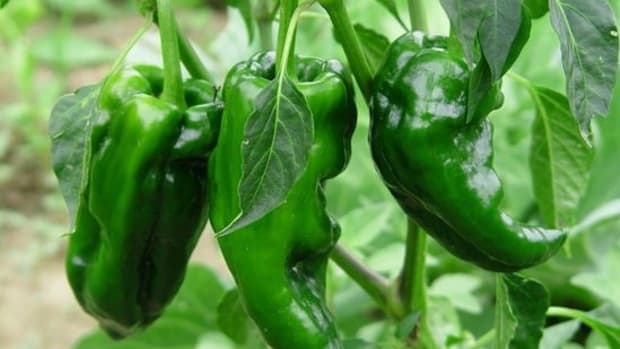 Ripe jalapeños become darker green and then finally, red – and hotter. They’re also packed with vitamin C and feature a bright, fresh flavor. Dice jalapeños and stir into your favorite salsa, sprinkle on beef or cook with onions and eggs. 4. Chipotle – Not just a burrito joint, chipotle peppers are jalapeños that have been naturally smoke-dried. Their rich, smoky flavor makes them a perfect match for Tex-Mex cuisine and Mexican moles. 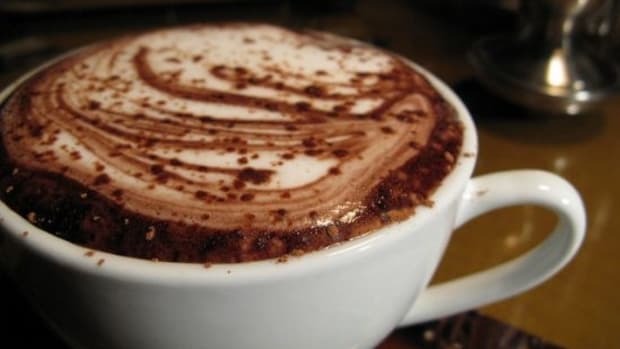 Stir ground chipotle into bean dishes, tortilla stew and pots of beef chili. 5. Serrano – These peppers look a lot like fresh jalapeños – but don’t get the two mixed up. 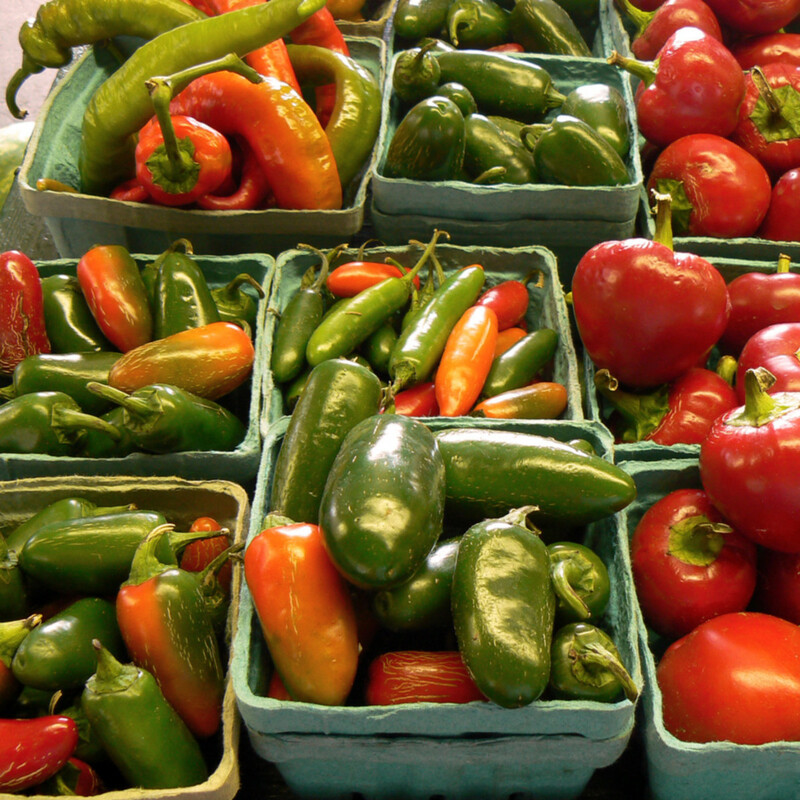 Serranos are twice as hot as jalapeños, and are usually eaten raw. Their spiked flavor and fleshy texture make them a top choice in Mexican cuisine. Cut into small dices and add to guacamole and pico de gallo. 6. Habanero – Now we’re getting down to business. The fiery habanero comes in a rainbow of colors: red, orange, yellow, green, white, brown, pink and almost purple. No matter which color you choose, expect a punch of heat from this beguiling little pod. Slice habaneros very thin and use gingerly when cooking, until you’re more familiar with their heat – they’re one of the hottest peppers on the planet. 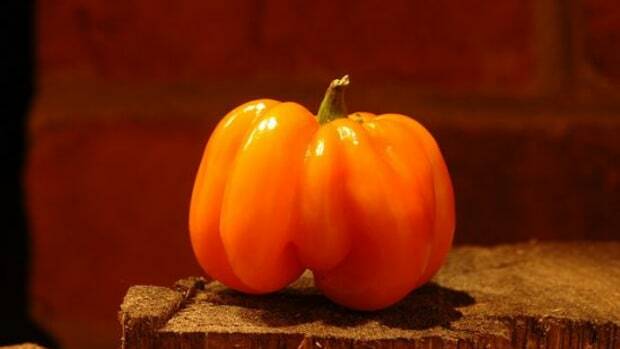 Habaneros work well with stir-fries, salsas and homemade hot sauces.